Day, Kathleen M., & Winer, S. (2001). 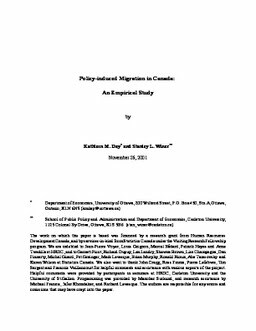 Policy-Induced Migration in Canada: An Empirical Study (No. CEP 01-08). Carleton Economic Papers (CEP). Department of Economics.